This little brother is simply adorable. I photographed his big sister a very few short 17 months ago, (yes 17 months apart, can you imagine!). He is the cutest little snuggly guy. Loved being curled up and tucked in just right. He looked great in just about every color we pulled out. Just about when I have seen the cutest baby ever, then this little fella came for his session. 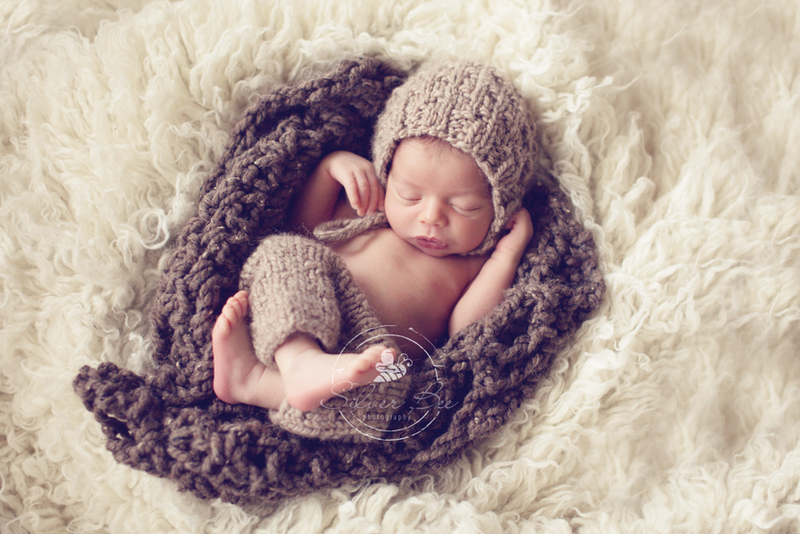 One week old newborn baby boy sound asleep for his photo session dressed in an adorable pant and hat set. His big sister is a busy gal so we caught all the cute little pics of this guy and then moved on to some sibling shots. I will admit it was a bit challenging, as it was big sisters nap time and she was still adjusting to having this little fella come into her life. It is so hard on the older sibling sometimes with a new little baby. Their world has been turned upside down and having to share the attention…poor little things. His big sister loves her brother, no doubt about that, but still gets a bit jealous when mama is with the baby. Which is completely understandable when they haven’t had to share anyone until now. So mom tried the bribes, first a cooking and then a bright yellow lollipop. Okay, so sometimes you gotta do whatcha’ gotta do right? So I’m thinking that we just ended up creating a sugar high. And meanwhile, baby brother is still fast asleep. Little baby boy in adorable gray newborn bonnet all snuggled in. Well, there can be an upswing for a sugar high. Once the sugar high peaks, it’s time for a sugar crash. And that is exactly what happened. So it ended up working in our favor and we got this sweet, simple, sleeping shot with sister and baby brother. One of my faves of all time. Oh, and having a nanny rock her to sleep in her arms was an extra bonus…thank you nanny! Big sister sound asleep with newborn baby brother. I forget sometimes how quickly the toddlers crash and burn at nap time. But it worked perfectly and couldn’t be happier. And saving my favorite photo for last. He is just as cute as can be. 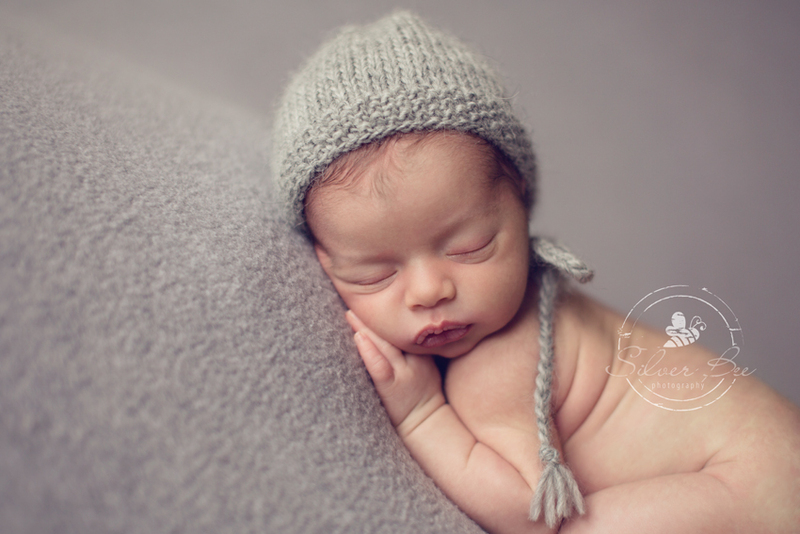 Perfect newborn pose on his tummy with the adorable bonnet. 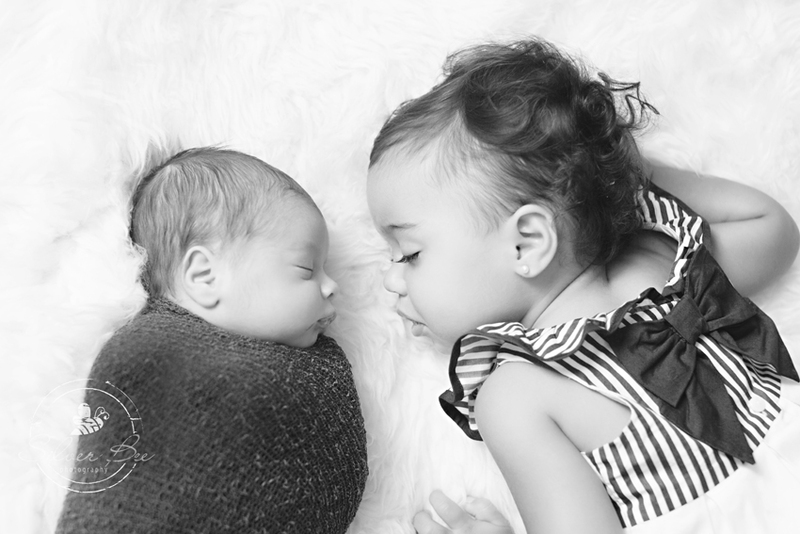 Remember when selecting a newborn photographer to ask questions or voice your concerns. Finding one with newborn safety training and testimonials is most important! Enjoy and hope to hear from you if you are expecting a bundle.